At Downies, we're always interested in your journey as a collector. What are your first memories of collecting? What was the moment that got you hooked? We put the question to Melbourne Store Numismatist Steve Kirby. 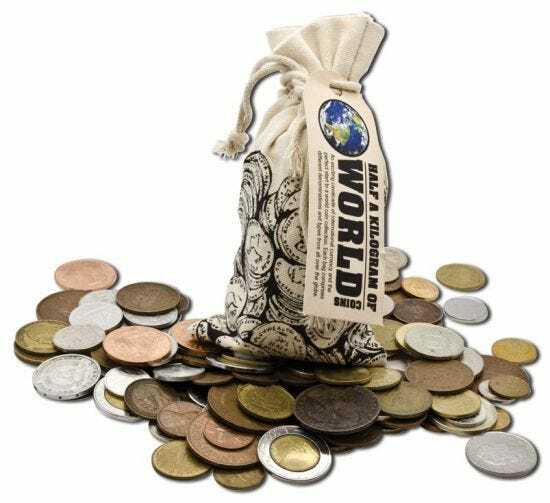 "One of my first memories, starting me off in coin collecting nearly 30 years ago," said Steve, "was my Grandad showing me the world coins that he'd collected while he was travelling overseas to the UK, throughout Europe, and on the sailing ship on his way back from Southampton to Auckland. He would often exchange and buy coins from friends and other travellers." To Steve, his grandfather's world coins were fascinating. They came in many different shapes, sizes, metals. Denominations. Currencies. One of Steve's favourites was a Greece 1969 20 Lepta coin made out of Aluminium. This coin had been struck with a centre hole through the middle. It depicted an olive branch on the reverse side, and on the obverse side, a centre hole within a crowned wreath. The other interesting thing that Steve discovered straight away was how little the coin weighed – just over 1 gram. While Steve had been busily collecting Coins of the British Commonwealth at the time, this wide range of interesting coins encouraged him to broaden his interest. He set himself a goal to collect one coin from every country around the world. "While working on the goal I learned a lot," Steve says. "About the many different coins I collected – and about the countries, cultures, and their history." Downies' flagship store at Southgate has a wide selection of World Coins, from A to Z. 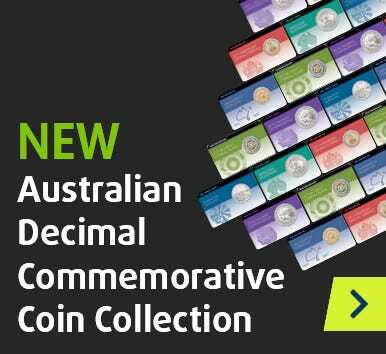 There's something to suit any collector's taste and budget - starting from as little as $5! - in our rotating display cabinets, and easy-to-look-through folders. Visit the store today to view the range. For store opening hours and location, click here.